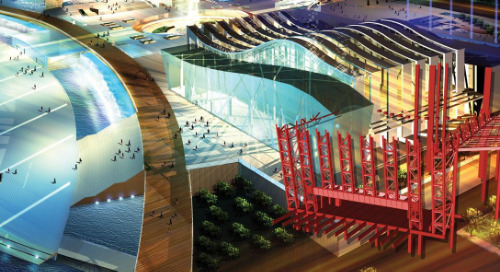 A unique mountain-themed attraction, Ski Dubai is the first indoor ski resort in the Middle East. It is located inside the Mall of the Emirates and offers a 3000 square meter indoor snow setting for skiing, snowboarding, and tobogganing – an opportunity to enjoy real snow in the desert all year round. 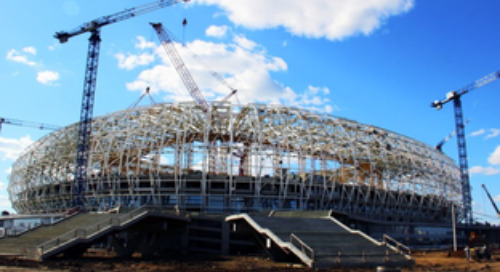 Tiger Steel Engineering used Tekla Structures for steel detailing to complete the complex and stately snowdome structure with excellent results. Built like an upside-down letter L, with its highest point towering 85 meters above the main highway, the snowdome has a diameter of more than 200 meters (total area 22,500 square meters, including 25 stories of indoor slopes). The a A unique mountain-themed attraction, Ski Dubai is the first indoor ski resort in the Middle East. It is located inside the Mall of the Emirates and offers a 3000 square meter indoor snow setting for skiing, snowboarding, and tobogganing – an opportunity to enjoy real snow in the desert all year round. 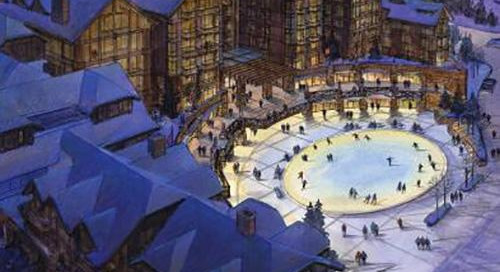 Tiger Steel Engineering used Tekla Structures for steel detailing to complete the complex and stately snowdome structure with excellent results. longest run is 400 meters, with a vertical drop of more than 60 meters. The runs have a 60 degrees curve on the way down to make them more challenging. For snowboarders there is a 90-meter quarterpipe and what is claimed to be the largest indoor snow park in the world. The park also features a Swiss-style balconied chalet café. Ski Dubai is said to be the largest freestanding transparent structure in the world with no supporting columns. It is clad with curved sheeting to represent an aircraft-wing shape floating in mid air. Ski Dubai has won two international awards: it was rewarded with the British Construction Industry International Award in 2006, and it was a joint winner in the Major Built Projects category of the British Expertise International Awards. Judges of the latter award were impressed with many aspects of Ski Dubai’s design and construction, especially with the high specification insulation and the relatively low energy demand. Tiger Steel Engineering is a leading structural steel fabrication company that has delivered top-quality structures for the past 34 years in the GCC Region. The company employs a team of highly qualified and motivated professionals, who are well supported by the company’s infrastructure facilities at Sharjah, UAE. Strong commitment to the latest management, engineering, and fabrication technologies has placed Tiger Steel as a preferred supplier to their customers. The company manufactures and supplies Structural Steel and Pre-Engineered Buildings for commercial, industrial infrastructure projects. They have successfully executed several prestigious projects in the UAE, GCC, North Africa and South-East Asian countries. Tiger Steel Engineering Department is staffed by a 50- person team of structural engineers, detailers and checkers with engineering expertise in all aspects of structural steel design and detailing, fabrication, transportation and erection. They provide comprehensive design and drafting services that are supported by a product development section. 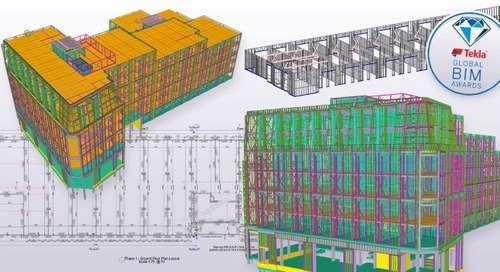 The department uses the latest 3D software for detailing, such as Tekla Structures, for achieving the most efficient and optimum detailing solutions. In Tiger Steel’s view, the ability to communicate clearly between the client and consultants is vital to any quality-engineered project. Because of the high degree of interdependency among activities in the design of complex structures, the ability to coordinate and synchronize communication among project team members is crucial. Faster product development, lower cost, and improved productivity are issues addressed by Tiger Steel through improved communication with the help of Tekla’s modeling solution. Tiger Steel Engineering has used Tekla Structures since 2005, says Engineering Manager Varghese A. Johns. 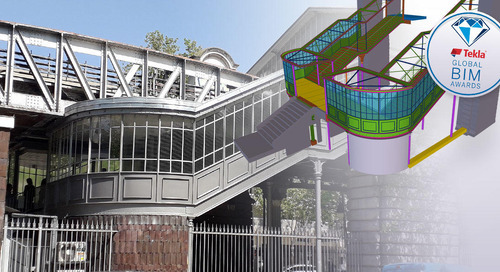 They moved to using Tekla Structures as it was required by one of their major clients. Tiger Steel now insists on using artificial intelligence for design and detailing to achieve accuracy and speed. 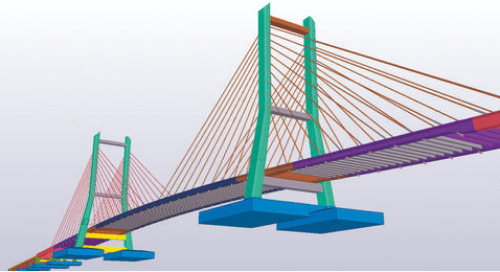 Phase 3 of Ski Dubai was detailed and modifiedusing Tekla Structures, an easy and error-free solution for the complex connections of the 3D trusses in the structure. According to Johns, no major problems occurred during the project just because the phase was detailed using Tekla Structures. 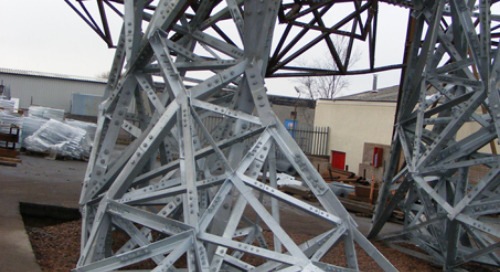 To begin with, Tiger Steel engineers reviewed the contract documents to determine the design criteria and to prepare setup for drawing and typical connection design calculations for the client’s approval. 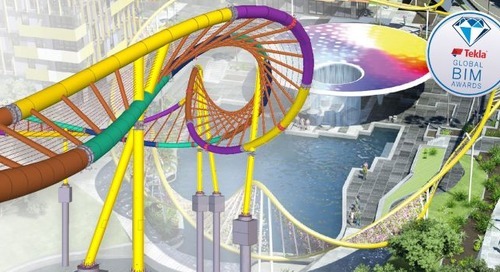 After approval, they proceeded with detailed connection design. The setup information and connection design instructions were transmitted to the detailers by the design section engineers. 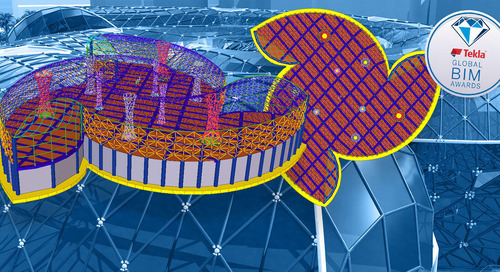 With Tekla Structures and other software, the detailers automatically created and updated drawings from the 3D models, quickly creating standard and auxiliary views, including section, detail, broken and isometric views. They were able to choose from a number of different display options, such as shaded, to ensure the documents communicate their intent as clearly as possible. As changes are made to the parts or assemblies, associated drawings always update automatically. All steel detailing was performed according to AISC, BS and standard detailing practices, and in addition, Tiger steel made every effort to conform to the client’s individual standards.